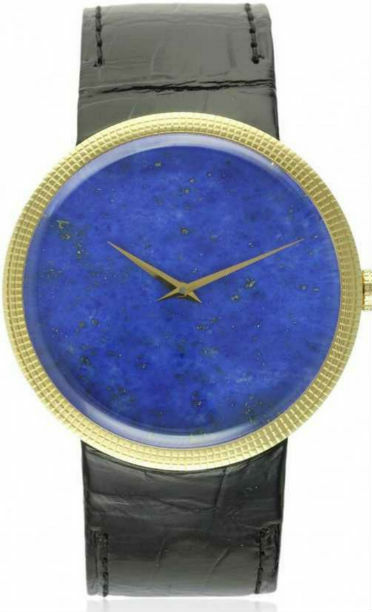 Lapis lazuli, a gem-like stone prized since prehistoric times, is featured extensively in ornaments and jewelry. 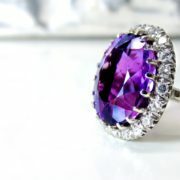 The finest “lapis,” mined in the remote mountains of present-day Afghanistan, is intensely blue, evoking the sea and sky. Yet due to varying mineral content, blue lapis actually ranges from light blue and bluish-green to deep indigo. In addition, some pieces include small, glimmering flecks of gold-colored pyrite, reminiscent of the starlit night. Lapis featuring excess pyrite is dullish-green, while that with excess calcite features white streaks. Over the centuries, traders, plying age-old caravan routes, transported small, costly lapis chunks far and wide. Rough beads have been found at Neolithic burial sites in central Asia. In addition, gravesites in Mesopotamia and Persia revealed beads, dishware, animal statuettes and protective amulets, some embellished with delicate, decorative lapis inlays. Many ancients believed that blue, the color of the heavens, held great protective powers. 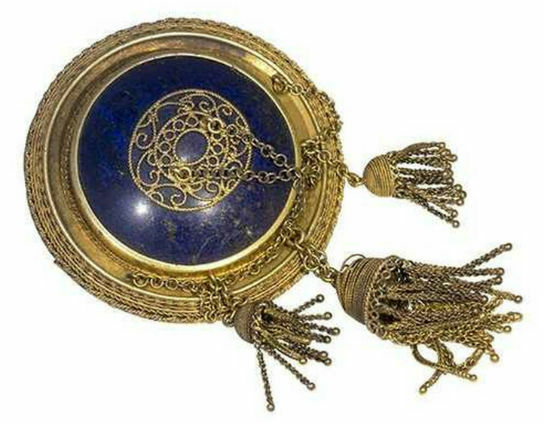 So scores of Egyptians carried tiny, carved lapis eye, animal and deity-shaped amulets strung about their necks, in pockets or attached to finger rings. The wealthy, in addition to favoring luxurious lapis anklets, collars, bracelets, necklaces and headdresses, outlined their eyes with powdered lapis. 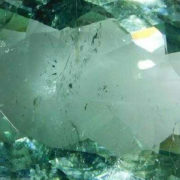 They also took finely ground lapis internally, to prevent melancholy, insomnia, fever and gallstones. As Egyptians also associated blue with royalty and the afterlife, lapis-derived pigment decorated pharaohs’ sarcophagi and statues. In addition, carved lapis necklaces, figurines, scarabs, and heart amulets were customarily tucked among the grave goods in royal burial tombs. Despite its use by barbarian tribes, the color blue remained popular throughout the Roman Empire. 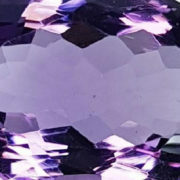 Wealthy women not only prized lapis beaded necklaces and lapis-carved gold rings. They also used it, powdered, as a medicinal, a cosmetic, and an aphrodisiac. Through the Middle Ages, powdered-lapis motifs enhanced Afghani caves, Zoroastrian temples, Buddhist frescoes, Chinese paintings, and Indian murals. When Eastern trade routes reached Venice, monks graced manuscripts and Bibles with costly, powdered lapis illuminations. During the Renaissance, the Medicis of Florence, along with others rich or royals, assembled collections of fabulously expensive, carved, gold-accented lapis lazuli footed bowls, goblets, flasks, and unguent bottles. Many also furnished their palaces with luxurious, lapis-inlay tables, virginals, house altars, cabinets, and mounted intaglio carvings. During the Baroque era, lapis was laboriously ground into the deep blue, ultra-expensive pigment ultramarine, a “noble color, beautiful, the most perfect of all colors.” In frescoes and oil paintings, it was generally reserved for garments of heavenly figures. 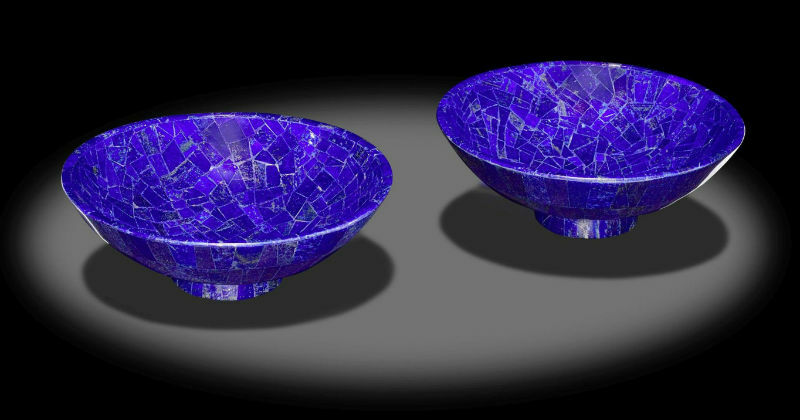 Opulent, blue-hued, carved lapis creations remained fashionable symbols of wealth and status through the 20th century. Gilt-mounted boxes, statuettes, vases, clocks and lapis-laden candlesticks adorned many a parlor mantelpiece. 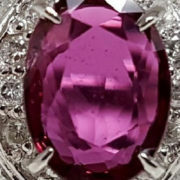 Due to their exquisite quality and aesthetic appeal, each piece is worth far more than the amount of lapis it contains. Lapis lazuli creations continue to charm. 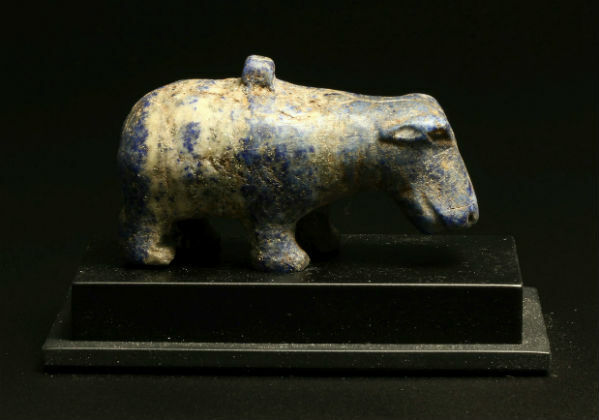 Tiny Egyptian and Roman amulets, shaped like hippos, hearts, hawks, fish or frogs, offer spiritual protection as of old. 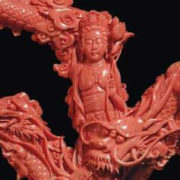 Intricately carved Chinese figurines, snuff bottles, plaques, pendants and prayer beads evoke the mysterious Orient. Russian and Chilean white, cloud-streaked chess sets, vases, trinket boxes and bangles, when set to advantage, are not less alluring. 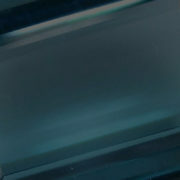 Exciting contemporary lapis designs also abound. Towering, highly polished, deep blue obelisks, freeform chunks and mosaic-like sculptures make dramatic decorative statements. 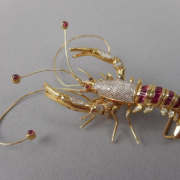 So do stunning jewelry boxes, vases, inlaid clocks and artistic, nature-themed pieces. Yet lapis lazuli jewelry, available in countless forms, sizes, styles and designs, is a perennial favorite. Classy lapis cufflinks and pinky rings vie with elegant tie tacks, wristwatches and lapis-veneered fountain pens. Delicately carved indulgences vie with chic, cabochon-cut lapis earrings, beads and brooches, many glittering with diamonds and gold. Many, as of old, believe that lapis lazuli holds great healing powers. A pebble-size pyramid placed beneath a pillow, for example, allegedly eases insomnia. Lapis arm bangles are said to relieve stress, purify blood and boost the respiratory, immune and nervous systems. Rubbing lapis on afflicted areas alleviates a litany of ailments. 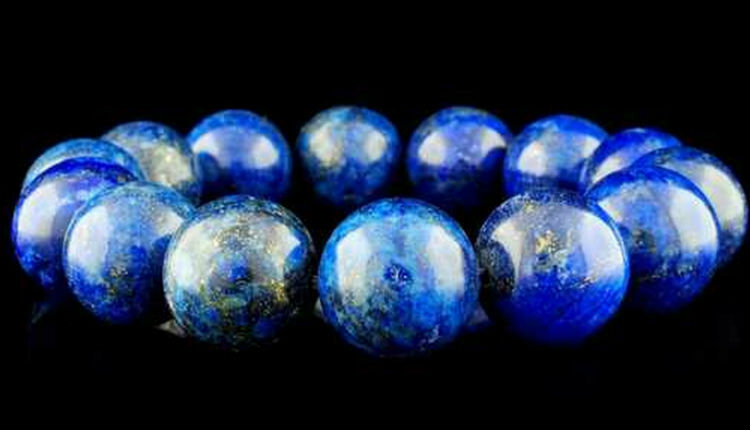 Moreover, say some, lapis lazuli promotes self-awareness, inner harmony, confidence, joy and peace.